Below is a copy of letter from a special worker (Jeff Gershoff, deceased) at Fellowship Services in the World Service Office (NAWS) concerning verification attendance cards and court cards in NA meetings. It has good guidance for how PI committees and groups can deal with the effects of signing these cards. Your letter asking about verification attendance cards and court cards in NA meetings has been received. Below, we’ve included some general information about them as you requested. Also enclosed, is an article from NAWS Annual Report, June 1999, entitled “Drug Courts: A Public Information Success Story”. All of this information should be helpful to your group in reaching a decision about accommodating people from either a drug court program or a treatment center who are requesting verification of their attendance at an NA meeting. Over the past several years, NA at the local, regional, and world levels has been making a concerted effort to improve our public image. This has been done by informing government agencies and the public, including drug courts, about who and what we are, and that NA is a viable method of recovery from the disease of addiction. Our experience is that drug courts are a valuable resource for addicts and they often help addicts find NA. When drug courts, any other part of the judicial system, or treatment centers send addicts to open or closed NA meetings, we can view it as an opportunity to carry our message of recovery. Most NA meetings do make provisions for signing court cards, but some do not. It’s up to each individual meeting to decide. When problems do occur, they are almost always the result of a lack of information. Most often, drug court officers don’t really know: what open or closed NA meetings are; how the court can utilize NA meetings in their work; what happens in an NA meeting; the importance of confidentiality and anonymity in our meetings; or that we do not report on a person’s recovery or what they say in a meeting. In these cases, we try to provide accurate information to court officials about what NA is and is not and what our practices and principles are. In each case where problems occurred, they were remedied by a willing NA service committee that met with the appropriate court officials a few times and provided this information. We cooperate with court officials by informing them about the location of NA meetings, our reliance on anonymity, and the importance of maintaining our independence from courts and government agencies. We also let them know that a decision to sign cards may vary from meeting to meeting, and a signed card only means that the individual showed up at the NA meeting. Your area service committee may want to ask the H&I and PI subcommittees to work together in contacting the probation and parole departments to discuss NA, our traditions, and what we do. It is extremely beneficial to help them understand that a signed court card means only that a person attended that NA meeting and that we do not assume responsibility for their recovery. As an example, anonymity in NA meetings is something we ask everyone to respect, including drug courts. But, sometimes court officials don’t fully understand the role anonymity plays in NA. In these cases, our PI committees can visit these officials and explain that we ask all people who attend an NA meeting to respect the anonymity of others and not to repeat what someone shares in a meeting. It helps so much when we explain that addicts rely on an atmosphere that is safe from public disclosure in NA meetings, and that if we don’t respect everyone’s anonymity then addicts won’t want to seek recovery in NA. After this kind of education and discussion, we normally receive full cooperation from drug court officials because they know what is reasonable to expect. It is helpful to remember that our purpose remains the same no matter why an addict comes to our meetings – to carry the message to addicts. Our literature states “We are not interested in what or how much you used, what you have done in the past, how much or how little you have, only in what you want to do about your problem and how we can help.” Our Third Tradition states that the only requirement for membership is a desire to stop using. So, when someone chooses to come to an NA meeting, it is not up to us to decide whether or not his or her motivation is acceptable. Many of our members made it to NA through encouragement from our jobs, families, or the legal system. We do know that it is common practice in most areas of our fellowship for these cards to be signed. There is nothing in the traditions to prohibit any member from simply signing these cards for individuals who want them signed. It is not an endorsement of an outside enterprise nor an affiliation with a government agency to sign cards for people who have been directed to attend our meetings. It is simply one of the ways that many NA members and meetings cooperate with potential members and carry the message of recovery to addicts. Our members do not attest to anyone’s state of recovery, perform urine tests, or verify clean dates. However, if the individual wants to verify his own attendance at an NA meeting, we can cooperate with him by signing his card. When individuals ask that their court card be signed, usually the meeting secretary or some other group officer is glad to sign it at the end of the meeting. The most common method used by NA groups is to ask that anyone with a court card place it in the Seventh Tradition basket as it is passed. They are then informed that these cards will be signed and available for them to pick up at the end of the meeting. Most NA members sign cards with their first name and last initial. If the secretary, treasurer or group leader is uncomfortable with signing their first name and last initial, they have the option of only writing the name, date and time of the meeting. Another option that has been used is for the group to have a group stamp made up, and simply to stamp the card so that no one individual needs to sign it. If the group makes the decision that it definitely does not want to sign court cards, then this should be announced at the beginning of each meeting so anyone in attendance with a court card has the option of looking for another meeting where cards are signed. I hope this information is helpful to you. 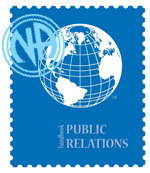 We send you our best wishes and thanks for writing to NA World Services.